Pillar was developed and published on Xbox 360 Indie Games by MichaelArts. It was released on February 17, 2015 for $4.99. A copy was provided by MichaelArts for review purposes. 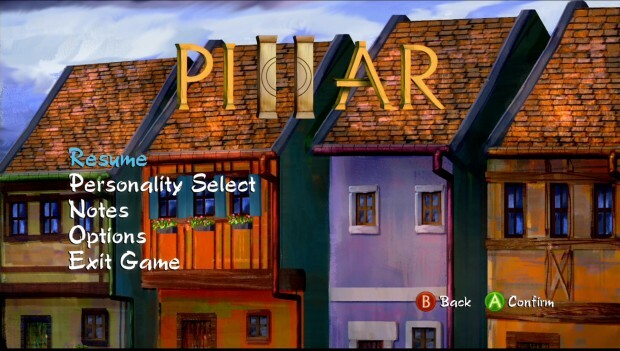 Pillar is a perplexing assortment of puzzling mini-games by Michael Hicks of MichaelArts and was released with trophies on PlayStation 4 and as an indie game on Xbox 360. Hicks was responsible for the game’s design, programming, score and other components. In fact, only one other person, Gonçalo Antunes (art), is credited with working on the game in a role other than tester. 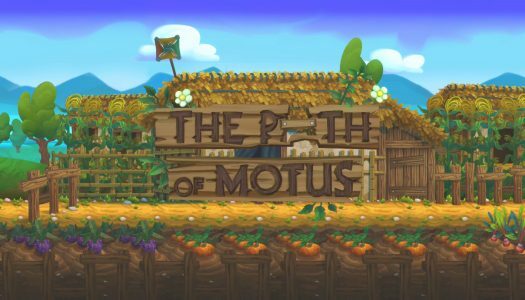 As a game that was largely created by one person, the attention to detail is significant, and the player can feel the developer’s passion. Hicks also seems to be very sentimental about his work and appreciative of his family, friends and the community. If you have any interest in Pillar, you may want to take a look at this blog post at some point. It’s pretty heart warming. As for the game itself, it abruptly starts off with a screen asking, “Who Are You?” and then follows with one inquiring “What Are You?” You are then thrown into the game with no rhyme or reason. In fact, you don’t even see a semblance of a title screen until you press pause. While it’s tempting to cut some slack for a lack of features due to the incredibly small team of people behind Pillar, I’ll be treating the title like any other game. Unfortunately, Pillar‘s seeming lack of direction hampers the potential that it could have.